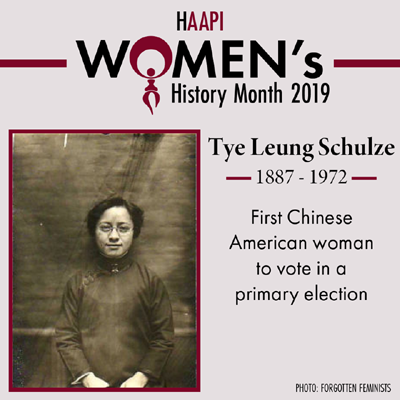 Tye Leung Schulze – 1912 – 1st Chinese American woman to vote in U.S.
Tye Leung was born in California in 1887 to a family of Chinese immigrants. At 14, she escaped an arranged marriage in Montana by joining a Presbyterian Mission in San Francisco. There, she learned English and became an interpreter, helping the mission rescue trafficked Chinese women from local brothels. 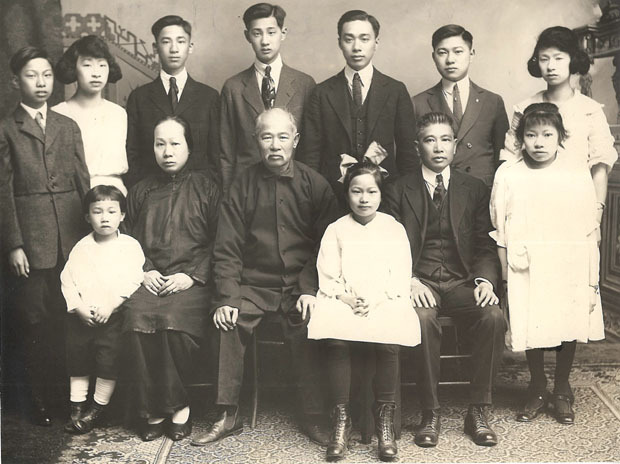 In 1910 she was hired as a translator at Angel Island Immigration Station; Leung was the first Chinese American to pass the civil service exam and become a government employee. 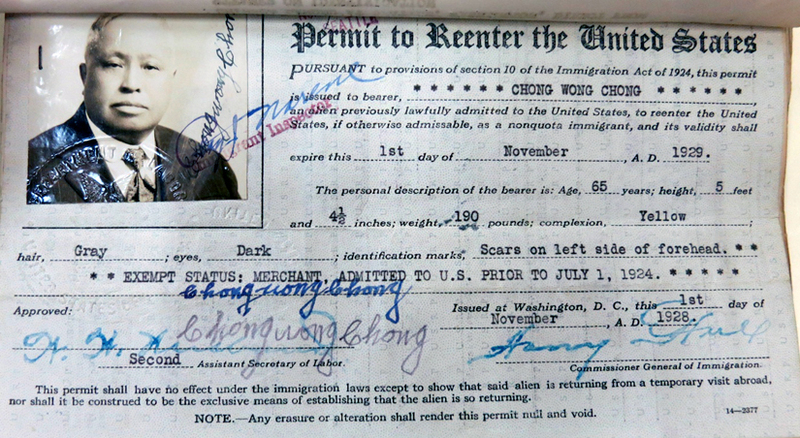 Here, she met Charles Schulze, an immigration inspector, and they fell in love. Charles Schulze was white. At the time, interracial marriages were illegal in California. They went to Washington state to get legally married, knowing that the intense racism and prejudice from their coworkers would force them to lose their jobs. To support their family of four children, Tye worked as a night shift telephone operator. 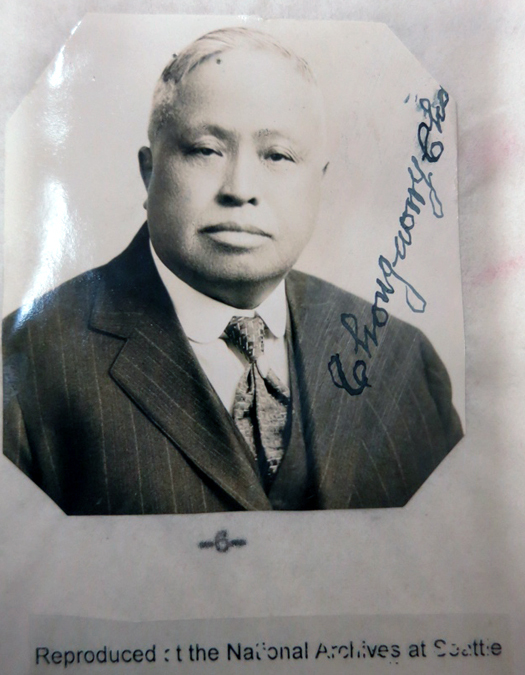 Charles was a mechanic and repairman until he died in 1935. 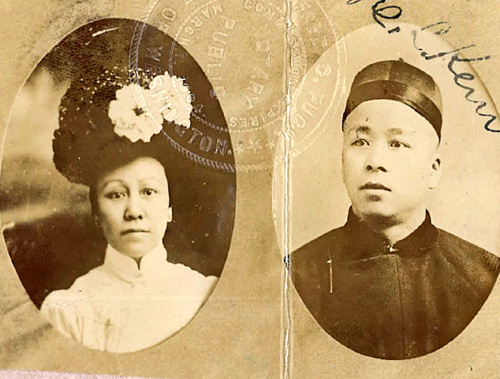 She was also the first Chinese woman hired to work at Angel Island. 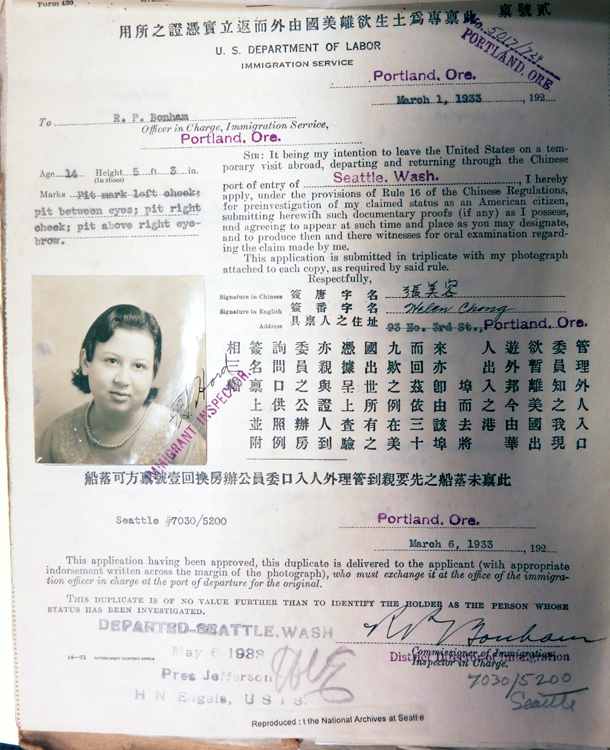 Tye continued to be an interpreter, social worker, and an involved community member in San Francisco’s Chinatown until she died in 1972. 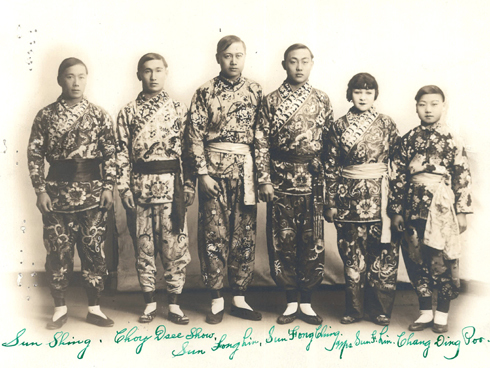 “Imperial Pekinese Troupe, photo, 1919” Chinese Exclusion Act case files, RG 85, National Archives-Seattle, Imperial Pekinese Troupe file, Seattle, Box1262, Case 36287/1-1 to 1/6. Photo: Sun Shing/Sun Fong Ching (brother), Choy Dsee Show/Choy Dsee Poo (cousin), Sun Fong Lin (manager), Sun Fong Cling/Sun Fong Lin (brother), Mrs. Sun Fong Lin (manager’s wife), Chang Ding Poo/Chong Den Foo (cousin). The troupe was on the Pantages Theatre Circuit. They played in Minneapolis, Minnesota then went to Canada for engagements in Winnipeg, Edmonton and Calgary. They re-entered the United States at Sweet Grass, Montana about 19 January 1919 en route to Great Falls, Montana. According to Sun Fong Lin, the manager, all six performers were born in China. Three of them arrived in New York in 1914 and the other three landed at San Francisco in 1917. They were originally working for Barnum & Bailey Circus. 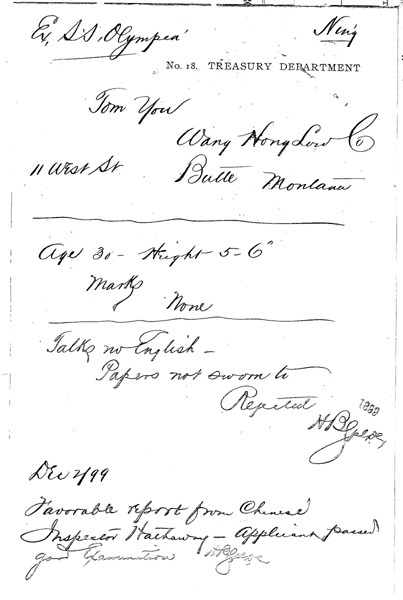 On 1 March 1919 Charles W. Seaman, Inspector in Charge, U.S. Department of Labor, Immigration Service in Minnesota, frustrated by a lack of guidelines, wrote a letter to the Commissioner in Washington, D.C. in behalf of the inspector in Sweet Grass saying they had no official instructions for the handling of Chinese performers leaving the country temporarily for engagements in Canada. He asked for specific instructions for handling all future cases involving Chinese performers crossing the border to Canada. The Troupe was re-admitted to the U.S. on 2 March 1919 and by 5 August 1919 all the proper paperwork was in the file.